New Bedford police cruisers doubled as sleighs Thursday and Friday as officers delivered presents to children in need. 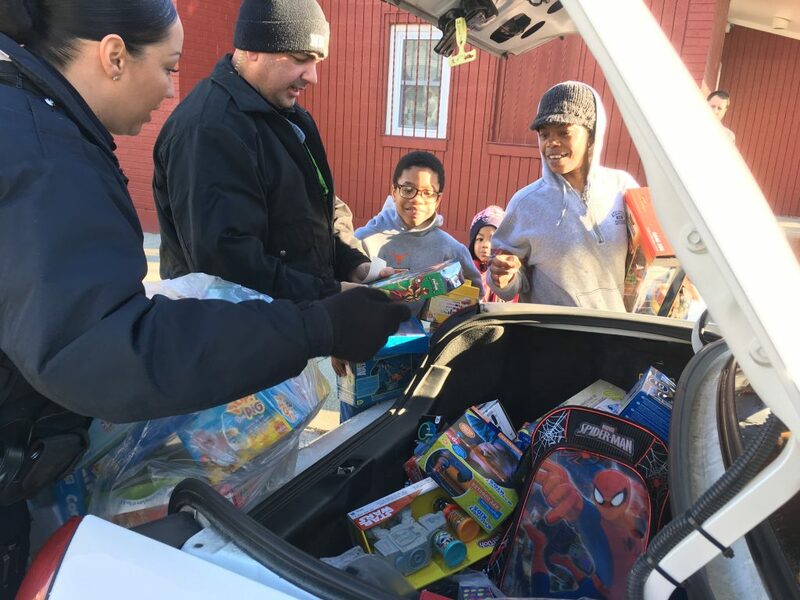 Police officers volunteered their time to distribute the gifts to ensure that no family goes without a happy holiday this year. Gifts were provided for children in kindergarten through grade 12. Visits were made to families throughout the city and to sick children at St. Luke’s Hospital. The toys were donated by generous residents who participated in the sixth annual Fill the Bus toy drive Saturday, Dec. 17. On that day, a Tremblay’s school bus was parked outside Walgreens, 1103 Kempton St.; Wonder Bowl, 66 Hathaway Road and The Boat Restaurant, 945 Ashley Blvd. 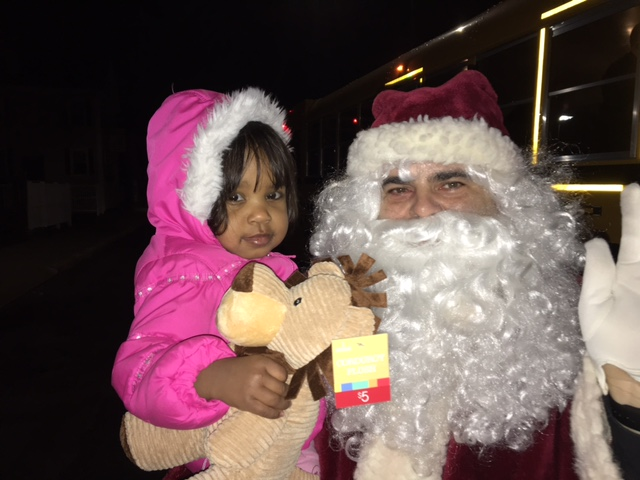 The bus was filled throughout the day with donations of unwrapped toys. Unwrapped gifts were also collected through Dec. 20 at the three New Bedford Police stations and at police headquarters. The gift distribution is just the latest in a series of events supported by the New Bedford Police Department to brighten the holidays for families in need. On Thanksgiving morning, police officers were among those delivering holiday meals to families that might otherwise not be able to afford to celebrate the day. And 75 members of the New Bedford Police Department made holidays merry and bright for 88 children through the department’s first Shop with a Cop. 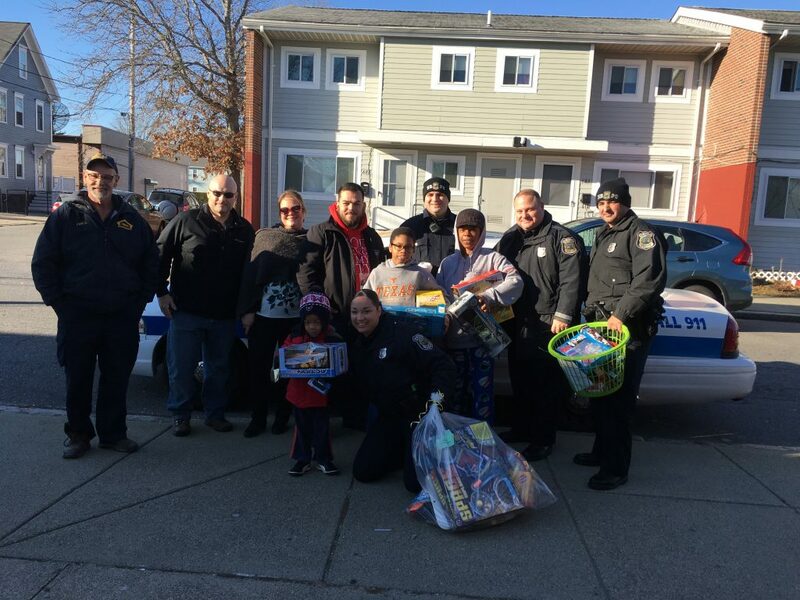 During that event, held on Dec. 10, children purchased gifts for their families and themselves at Target in North Dartmouth, using donations from the New Bedford police union, individual officers and Target.